Now that the Samsung Galaxy S IV is official, what is the next Samsung smartphone you can look forward to? The Samsung Galaxy S IV mini of course! 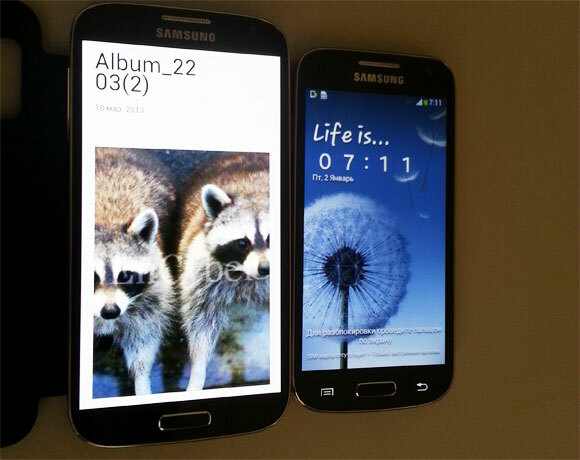 Last week, Sammobile got their hands on images of the purported Galaxy S IV mini device (I9190), which sports the exact same design as the S IV (S4), only in a smaller size of 4.3”. 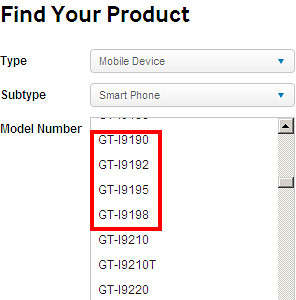 Yesterday, a Twitter user, st7761, spotted the I9190 model number on Samsung’s official support page along with 3 other I919x devices. As always, the devices have been removed from the page, but it is believed that I9192 is a dual-SIM version of the S4 mini while I9195 is the LTE variant, and last but not least a China version, the I9198. As for the specifications, initial rumors suggests that the device packs a 4.3” Super AMOLED device with qHD resolution, be powered by a 1.6GHz dual-core processor and will run on Android 4.2.2 out of the box. The official announcement is expected to happen around June or July this year. BlackBerry Further Hypes the Z10 with "Real-Time Takeovers"